Dor-Control Craftsmen has been operating since 1967. We have installed thousands of commercial entrances in all industries and have developed a reputation for our expertise, knowledge and integrity. Dor-Control Craftsmen is a professional entrance solution company located in the greater Toronto area. We design, build, install and service architectural and security entrances in Southern Ontario and major cities in Canada. All our employees are dedicated technicians with AAADM Certification. The team we have created has the knowledge, experience and skills to work together to succeed at installing your new entrance. Our technicians take great pride in the quality of their work. We provide timely and effective solutions with a prompt delivery system, short lead times and ongoing support. Additionally, we are committed to providing our clients with quality services and complete satisfaction. We work in every industry requiring a commercial automatic door or security entrance: Airports, Businesses, Financial Institutions, Government Buildings, Hospitals, Hotels & Restaurants, Retail, Schools and Public Transportation. We have professional tradespeople who take pride in the quality of every job they do. Our positve business relationships have resulted in an excellent reputation in the industry for many years. Service is our number one priority during project planning, installation, service and repair. We do not settle until you are happy. Safety is also our number one priority. All technicians are certified by AAADM. We are in good standing with the Workplace Safety and Insurance Board (WSIB). We have a comprehensive Health and Safety policy which we take pride in saying every employee has been trained on. All our tradespeople are fully certified in areas such as WHIMS and forklifts. We have the knowledge, experience and team to help provide you with the best solution for your entrance to help improve traffic flow, save energy, ensure accessibility for everyone and provide an architecturally beautiful entrance. We will meet you at your location to discuss your vision and goals to determine the best solution for your new entrance. 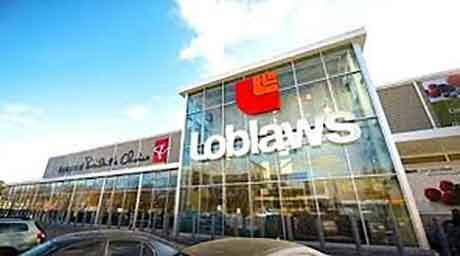 All industries which serve the public require commercial automatic doors to meet Ontario Building Code and AODA. We serve Southern Ontario and cities in Canada. 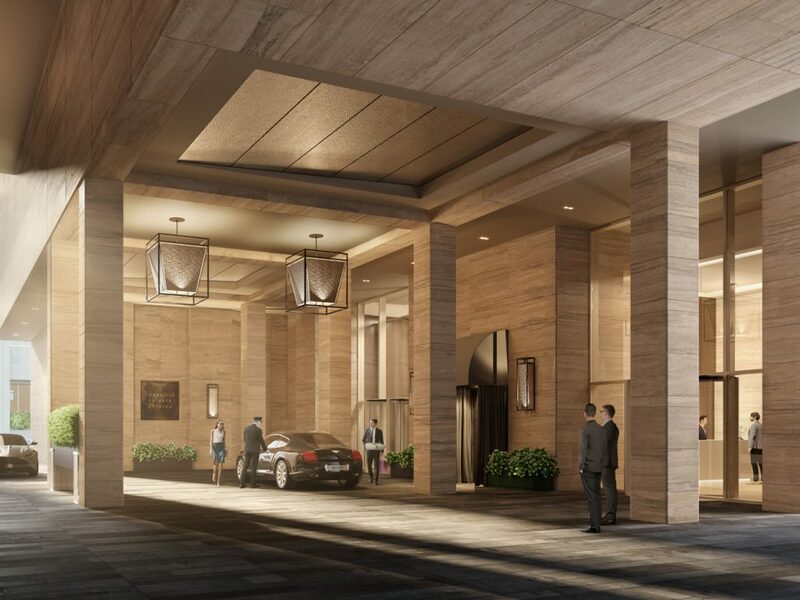 Automatic entrances that are architecturally distinct, welcome visitors, help traffic flow, save energy and provide accessibility for everyone. Security Entrances & Optical Turnstiles are for businesses who require extra security for incoming guests and alert everyone if needed. 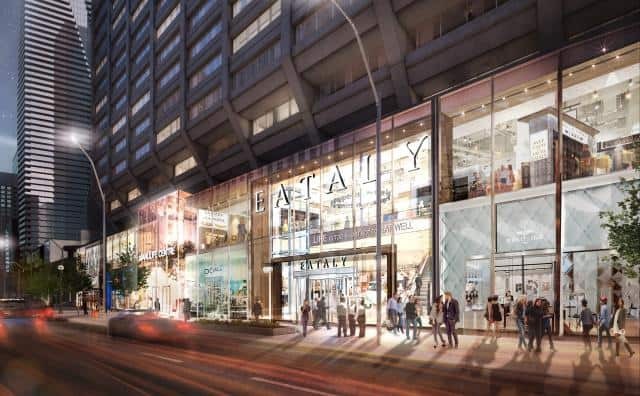 We now expect automatic doors at all of the following industries and major businesses in Ontario and cities in Canada. 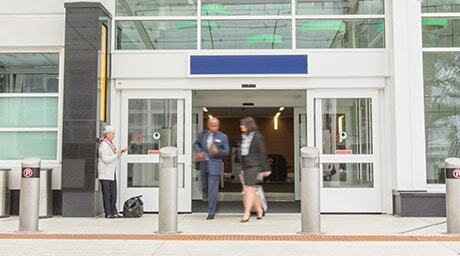 Automatic Sliding Doors keep travellers on the move and ensure people can move quickly through the airport or station. The flow of people in a busy airport, TTC or bus station is constant and requires 100% accessibility. NABCO’s GT1175 automatic sliding doors are the perfect solution for travellers. 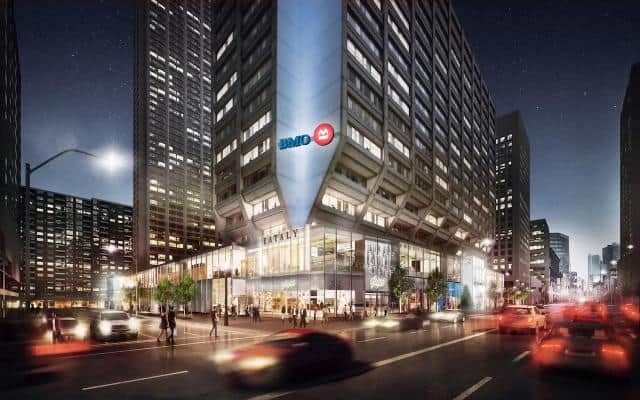 They provide travellers with fully accessible doors to allow seamless movement through any transportation hub. 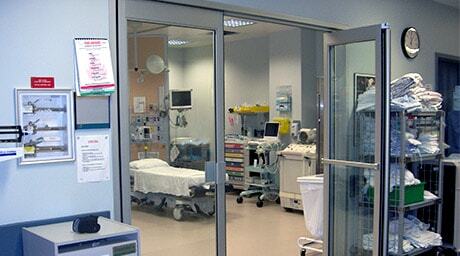 NABCO automatic sliding doors are found in numerous hospitals and medical office buildings; they operate silently. Manual Sliding Doors at the ICU and CCU – the most important rooms in a hospital; GT1175 Sliding Doors open automatically to a beautiful lobby in the hospital. 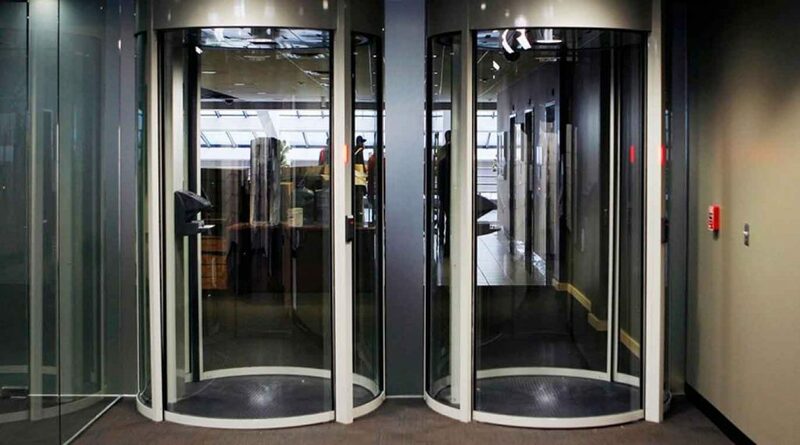 Boon Edam revolving doors are the most energy efficient main entrance solution available today. 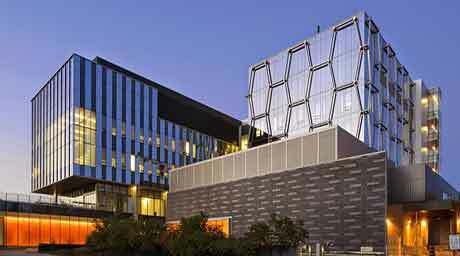 They facilitate a continuous flow of people and separate the outside air from the inside, helping reduce energy and costs. 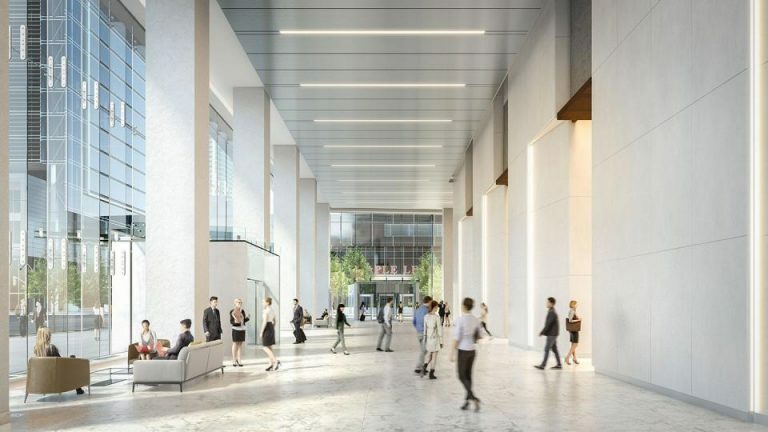 Revolving doors prevent drafts, dust and noise coming into the building. 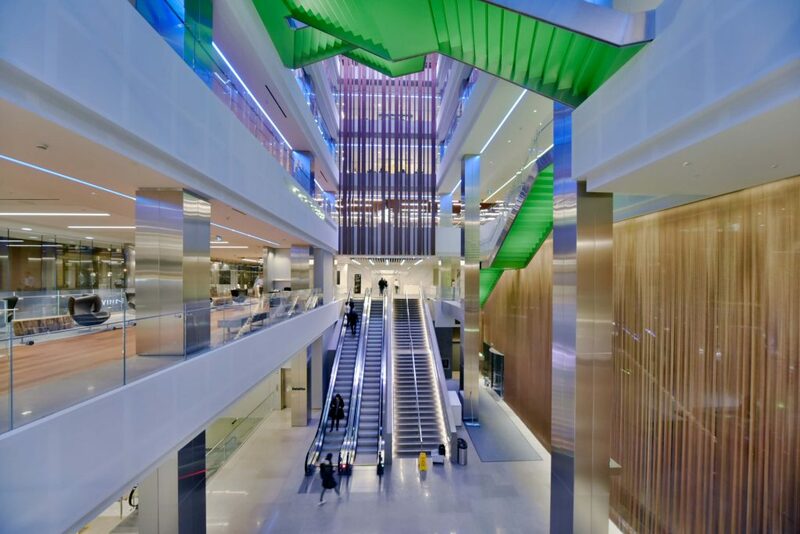 Read about the revolving doors we installed at the AGO and Mount Sinai Hospital. Automatic Sliding Doors and Automatic Door Operators for university and college buildings are an ideal solution to ensuring the entrance is 100% accessible, to meet AODA and provincial accessibility guidelines. Plus they increase security and ensure that energy costs are reduced by keeping the interior temperature separate from the exterior. Automatic doors help both students and teachers carry bags and backpacks through the doors. 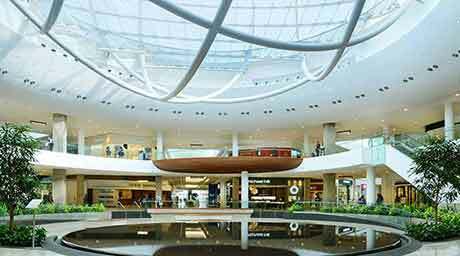 Today’s consumers expect convenience when shopping at department stores, shopping malls, and outlet centers. It’s expected that shoppers who leave with heavy bags or carts will be able to walk through automatic doors easily. In many shopping malls, the value of NABCO automatic sliding doors extends beyond convenience – the GT1175 all glass sliding door delivers a sleek, high-end look as well. 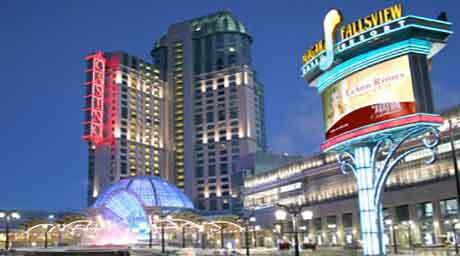 Hotels and casinos strive to make the best guest experience. The facility needs to be 100% accessible. Use automatic sliding doors to improve the flow of traffic into the building, increase a building’s aesthetic appeal, and provide ease of use for guests with bulky luggage. NABCO’s automatic sliding doors are also an efficient way to handle simultaneous two-way traffic at any entrance. Automatic sliding doors for high-traffic retail operations are essential. Customers expect a seamless shopping experience when they enter a grocery store, convenience store or high-end department store. It’s a pleasant experience to walk through an automatic door and necessary when pushing a heavy shopping cart. The quick entry and exit of sliding doors provide retailers with an opportunity to have a great first and last impression on customers. 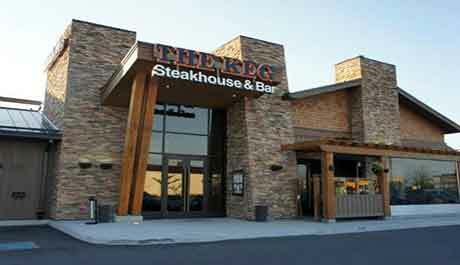 Restaurant entrances create the first impression for your company and customers. Automatic door operators enable easy access for all and instantly demonstrates that you care about your customers. Meet AODA provincial accessibility guidelines, meet Ontario building code, allow quick entry and exit, save energy and impress your customers. Protecting security and privacy has become a significant concern. Reliable, high-security doors and portals ensure only authorized staff are allowed to enter. These entrances have proven their quality and reliability in government, defence and private applications. Their functionality and integrated security systems continue to evolve with technology, ensuring they are the most technologically advanced in the market. 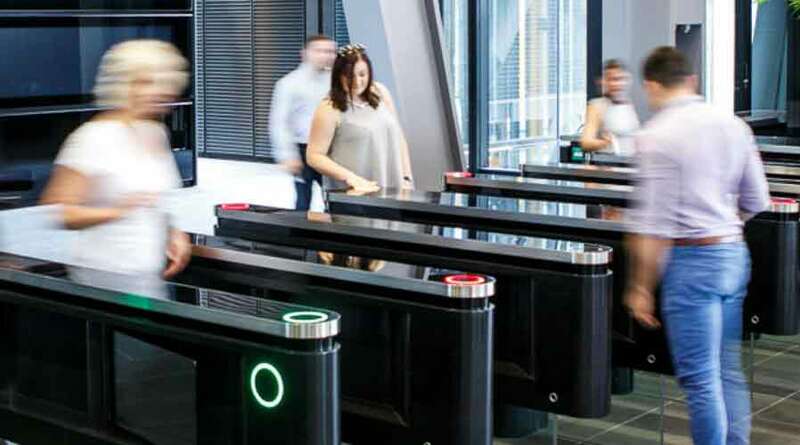 To manage the movement of people in lobbies and into buildings with varying degrees of security clearance, corporations around the globe are implementing optical turnstiles coupled with access control and visitor management systems. Optical turnstiles effectively detect tailgating with minimal inconvenience to users and without forming an obtrusive barrier. Boon Edam optical turnstiles have the smart technology, beautiful designs and superior operational performance.